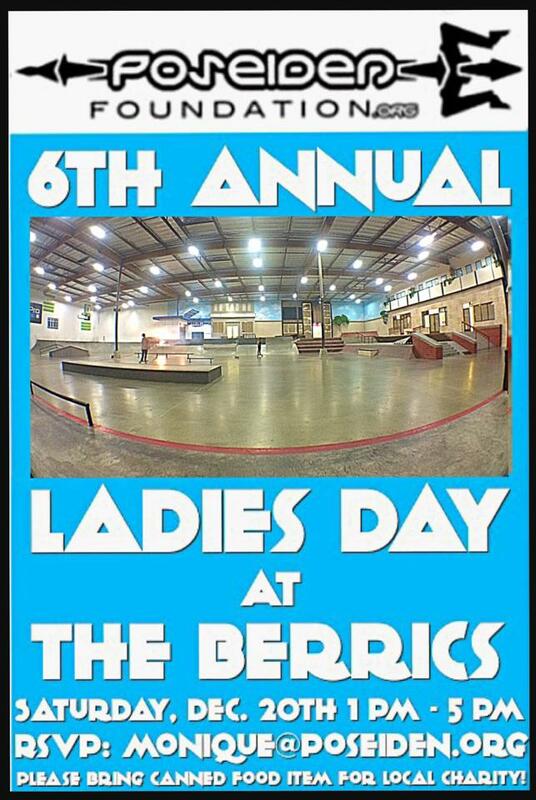 Poseiden Foundation 6th Annual “LADIES DAY” at The The Berrics!! Once you have RSVP’d please email monique@poseiden.org. They will be checking names at the entrance, so MAKE SURE you’re on the list!